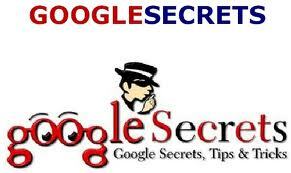 There are a lot of Google Search tips that many people do not know about, but they are extremely useful. There are many things that you can do with Google search, for instance, check sites for malware, read articles without paying, search photos by region and lock safe search to keep kids from ever seeing explicit content. So below are given the methods in which you can do it. Check them out! We all know that Google itself warns you about fishy websites that host malware. But in case you want to check some website manually for malware content then you can always do it by simply adding the website’s address to this URL and a then Safe Browsing diagnostics page will open up like the one given above, showing details about malware infections, if any. If you want to search for photos from a specific region, for example, you want to search for photos of actors from India, then you can easily do it in Google Image Search! All you have to do is to go to the advanced search page and select a region from the drop down list on that page. You can even search for movie posters from a specific region. This tip can prove to be very useful. Now a days, everyone is on Google+. So if you want to search for people’s profiles, without having to go to Google Plus every time, then doing this is possible. Simply open Google.com in a new tab, do a name search and then add &tbs=prfl:e to the search URL. This limits the search results to only people’s profiles. According to Business Insider you can also use Google for read articles from websites like the New York Times that keep information behind a pay wall. All you have to do is to search for the article by its exact title on Google and it would be displayed in search results. You have the ability of reading up to five articles per day on websites like the NY Times using this trick. You may have enabled the Safe Search option from Google’s search settings to keep explicit content from being displyed up in results. If you want to ‘lock safe search’ to keep others from changing it on your computer, then you can do it from the settings page. Once you have locked the Safe Search, coloured balls would appear in the search results page signaling that results do not include explicit content. Thanks for the heads up!! Some new tips! There’s a lot of hidden features in Google. [search string] filetype:[extension] gives links to files with the specified extension. For example, typing “nautilus filetype:pdf” (without the quotes) searchs for pdf files containing the word nautilus. define:[search string] tries to define search string. Example: define:dumb. [arithmetic operation]= solves an arithmetic equation. For example, type “65342/342=” (without quotes). Google is simply amazing, and its simply more than a search engine. These tips reveal some of the hidden treasures of the big G, and I believe there are still more and i trust Smashinghub to unearth and reveal them to us. Thanks a lot, again. Try Google.com/ncr where ncr means no country redirect.